Based on the Amagami dating sim. While loitering in the park, Shimana Kameko, who intended to run away from home and skipped school, meets a suspicious man in a kimono. This man, who had been locked out of his house, offers Shimana a place to stay. However, he requests she fulfill three conditions in exchange for her tenancy!? 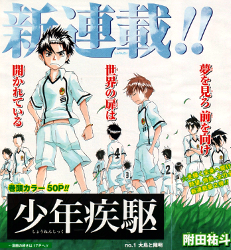 Gekibuno is a 4koma comedy centered around Kuramoto Souya, a new transfer student to the high school. Souya is the kid in the class that no one pays attention to. He has no personality, is always depressed, has no hobbies or is not involved in any extracurricular activities and is just plain boring. He wants to be different at this new school and start on a fresh plate but unfortunately life isn’t that easy and he goes back to his old self. Souya is coerced into joining the drama club, where the most colorful characters of the school reside. Will this drama club be able to transform Souya into a different person? Houkago Play continue with new characters. 4-koma about the interactions between a gamer, who specifically likes the PSP, and his non-gamer girlfriend. Houkago Play continue with new characters. A 4-koma featuring boy and a girl who are both gamers, though they play with different styles. They trade games, discuss gaming, and discuss other otaku-type things, like manga and zombies, as their relationship slowly progresses. This is a 4-koma featuring the high school kid Kei, and his childhood friend Rin, who loves paper airplanes. Kei seems to like Rin, though he's somewhat oblivious to his own feelings. With the addition of Rin's classmate Ryuusuke, who shares her love of paper airplanes, the situation becomes more complicated. Apparently feelings, like paper airplanes, don't fly straight. This is a 4-koma featuring the high school kid Kei, and his childhood friend Rin, who loves paper airplanes. Kei seems to like Rin, though he's somewhat oblivious to his own feelings. With the addition of Rin's classmate Ryuusuke, who shares her love of paper airplanes, and another new character, Aoi, Kei's emotions become more and more complicated. Apparently feelings, like paper airplanes, don't fly straight. 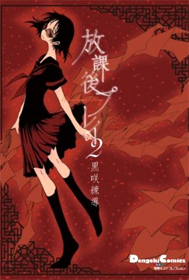 The lead character, Mao Ran, a person of Chinese origin born and raised in Japan, has been trained in the secret martial art of her family by her drunken lecherous grandfather. Her grandfather has promised her that he'll tell her what happened to her parents to encourage her to train and fight. Without her knowledge, her grandfather signs her up to participate in a televised martial arts competition between female martial artists known as "Prime Mat". Kakitsubata Kiyone has a pretty cool school life, and now he's been chosen for a great honor. He's going to be on the committee of students that care for the school's prestigious library, along with the highly admired library chairwoman, Sakurazawa Chiyoko! But Chiyoko has a secret... she has a large collection of lesbian erotica and loves seducing the other female members of the library committee. In fact, she had thought Kiyone was a girl, based on his gender-ambiguous name. How will Kiyone cope with this unwelcome surprise to his otherwise awesome school life? Thanks go to WinningDays for the summary. High school girl Takizawa has always been “part of the boys.” She's academically smart, excels at any sport she plays, never backs down from a fight and always acts courageously in any situation. 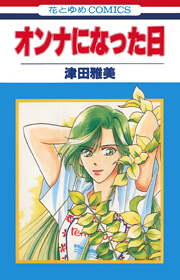 Her best friend since they were young has been Fukaya, a boy and they have always had a platonic relationship. While others might envy Takizawa in every way, in truth, she's always been looking for something real in life. Then one day, she falls in love with a fellow school mate and starts to notice her sexuality as a woman. 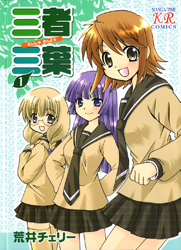 Sansha Sanyou is a 4koma manga featuring three hilarious characters, Odagiri Futaba, Hayama Teru and Nishikawa Youko. Futaba is the new transfer student with a super energetic personality, Teru is the class president with a surprisingly mean personality contrary to her innocent looks and Youko is from a formerly rich now extremely poor family who still holds on to her princess attitude. These three unlikely students with clashing personalities become good friends and survive the day to day life of teenage life in a very funny story. Back in the 900s, an organization is chasing a kid with magical powers. This kid is able to summon monsters as protectors. Is it because the kid is a monster himself? Hinata is a student at a prestigious all girls private school and looks up to Tsugeyama Saki, the shining star of the school. As the younger sister of Saori, the head mistress of the school, Saki is the most popular girl at school with her warm personality, beauty, top academic skills and is pretty much the perfect girl. Hinata suddenly learns that her parents got extremely into debt, fled the country and pretty much left her out to dry. 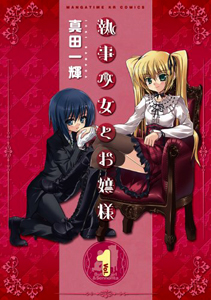 The headmistress Saori, out of compassion and seeing the Hinata's importance to the school, makes Hinata an offer to become a butler in return for providing room and board for her. Not having much choice, she accepts and is assigned to none other than Saki. Hinata soon finds out that Saki puts on a façade at school and is not the perfect girl everyone thinks she is. Ootori Haruki was the ace of his school's soccer team, and spent a lot of time and effort doing things specifically to look cool. He'd been filling the role he chose for himself pretty well, until the transfer student Jinmyou Kaoru came along. Not only did Kaoru have the natural "cool" look and act down, he also seemed to be effortlessly better than Haruki at soccer. Will Haruki be able to rise to the challenge of his new rival? 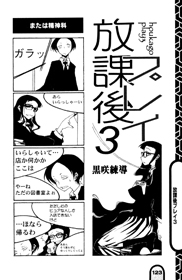 This volume contains three stories. 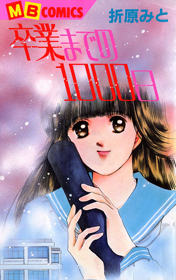 Sotsugyou Made no 1000 Days - Kaho first met her classmate Masato on the first day of middle school. After he rescued her from some upper-class girls who were picking on her, he became the boy that she liked. What will happen in the 1000 days before they graduate from middle school? Will she ever be able to tell him how she feels? Blue Blue Planet - The night of her 12th birthday, after she learned of her parent's impending divorce, Honami meets an alien. The alien makes an agreement with the devastated girl; 5 years later, if she still feels as she does on that night, then they will allow her to come with them into space. 5 years later, while Honami is anticipating the alien's arrival, she meets a cute classmate, Tomoki, who seems to remember her from somewhere. Will he be able to help her find a reason not to forsake her home planet? 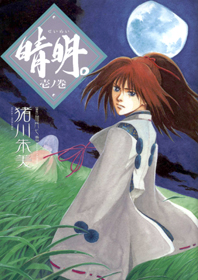 Umi no Koe, Sora no Uta - There is a legend on the small island where the orphan Nanami lives with her grandmother, that the water god and the sky goddess were once one. Then, they quarreled and became two. According to legend, only a person who believes from the bottom of their heart can restore their unity. Nanami has also been separated from her childhood friend Kouta, who moved to Tokyo. Three years later, he has returned, but the difficulties his family has faced seem to have changed him into someone almost unrecognizable. 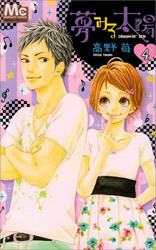 Will Nanami be able to find the person she once knew Kouta to be, and restore their relationship? Against his will, Haru is forced into living with his brother's daughter Akira, whom lost both her parents, for three months. He never wanted to come back to the house where his brother and sister-in-law lived, nor did he want to see Akira. All of these reminded him of the bitter memory of love that he's kept sealed away. Now, Haru has to take care of Akira and her two roommates and come to terms with his painful memories. The organization known as "Gigant" has sent one of their best men to kill a cute young high school girl. However, the assassin seems reluctant... Why did he get those strange orders to execute after the murder? What's the secret behind that girl? Nothing really stood out this time. Shitsuji would seem like a good read for people who are into that genre. The 4koma comedy seems funny and seems great as just a quick read from time to time. 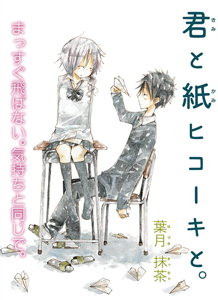 Gekibuno looks like an interesting new manga - yay for lurky characters~ I've read Houkago Play before and it was cute reading the interactions between a little bit shy girlfriend who can't admit her feelings for her boyfriend so hopefully Houkago Play 2 & 3 continue in that vein. Kimi to Kami Hikouki to. 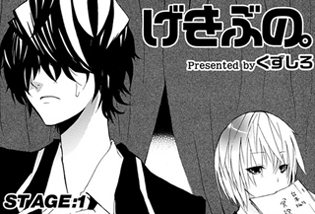 looks like another fluffy manga I'd like to read - boys that are oblivious to their feelings are so cute. 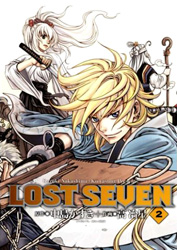 ^^ Lost Seven sounds a bit like a different take on Snow White, Brair Rose story and with a chapter scanlated, it might not hurt to check this out. The art definitely doesn't hurt. ^_^ Sunny sounds like a nice romantic drama to check out as well. Hopefully some nice group will pick it up~ As for popular scanlating manags, I suspect someone will probably pick up Shitsuji Shoujo to Ojousama due to the girls love aspect or Library Chairwoman's Dignity or Shounen Shikku since it's a Jump manga. Those looking for action will probably pick up Kakutou Bijin Wulong or Wrestle the Under Ground. If you haven't done so already, check out the scanlations of the mangas from previous shout outs which have been recently scanlated: action adventure Metallica Metalluca, rugby school life manga 15 - Meisetsu Kougyou Koukou Ragubii-bu, action, sci-fi Simulacra of the Crazy Idea, action one-shot Karakuri. if anyone is willing to translate Gekibuno or Sunny drop me a PM or something.. Copyright (c) 2007-2017 by MangaHelpers. All rights reserved. All times are GMT . The time now is 09:37.